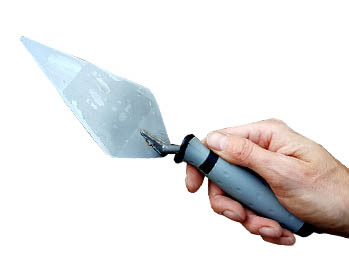 If you have seen me using a 6″ or 150mm pointing trowel in any of my videos you will probably know that I mostly use a standard bricklayers trowel and a stainless steel pointing trowel like this C K Pointing trowel. I like the fact that no matter what neglect or abuse you throw at them, they don’t pit or rust should you forget to dry them thoroughly, or discard them somewhere damp. They also in my opinion have a delightful hint of flex that leaves a nice finish when detailing some types of cement work like flaunching. How to point brickwork – This video for those who haven’t seen it shows a beginners guide to pointing up. 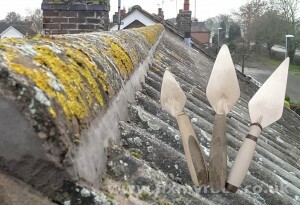 Great for brickwork, chimneys or roof details like flashings. Unfortunately stainless steel pointing trowels are a little hard to come by or pick up off the shelf. The very best quality ones I have found so far are stocked by the DIY chain Wickes, but unfortunately they are always out of stock. Different job different trowel – I also like to have more than one size available to me for various jobs, this often means that I will buy two and cut one down to a smaller size. Pictured – full size & new, full size & worn, cut down & worn. 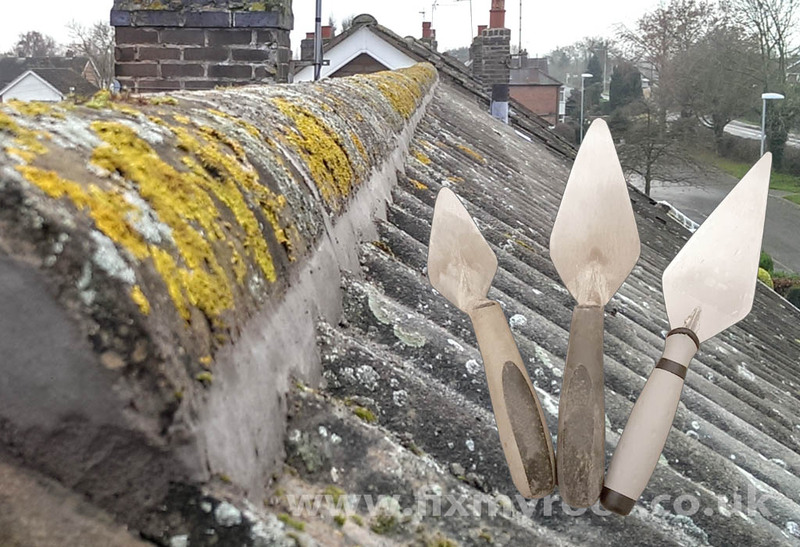 What this means is that for jobs like pointing ridge tiles onto curved roof tiles as pictured above, a small trowel will often create a neater finish faster, therefore saving time and of course money.